Eloise, you had us a Cuddle Cup! 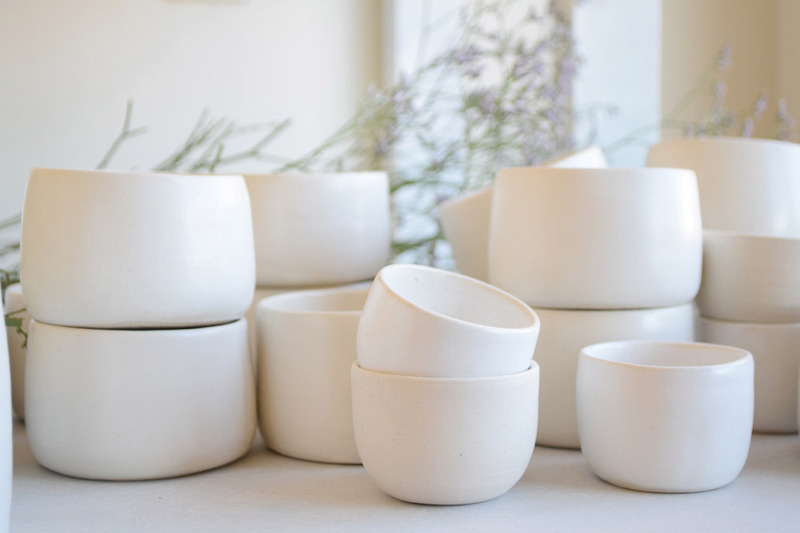 Today, we chat with Eloise Rankine, the founder and ceramicist behind elph ceramics, a handmade ceramic label based in Sydney, NSW. 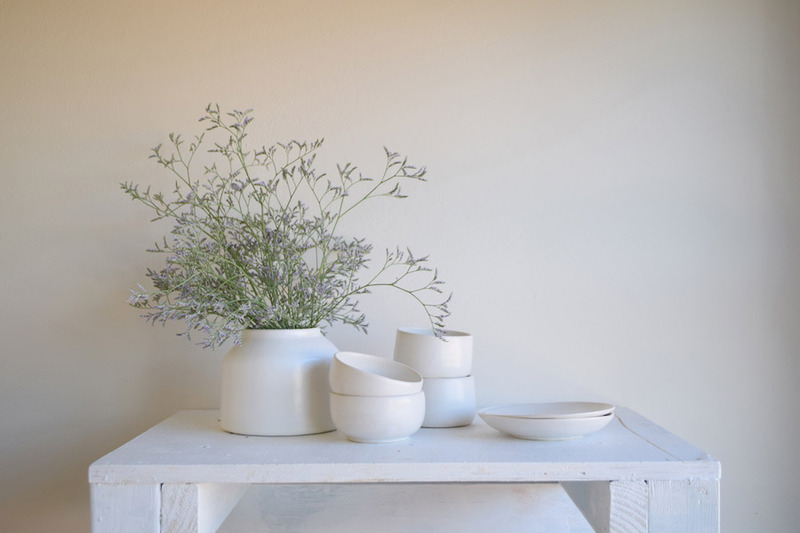 Elph ceramics will be debuting this range of unique and beautifully simple ceramic vessels, at our Sydney market in April. 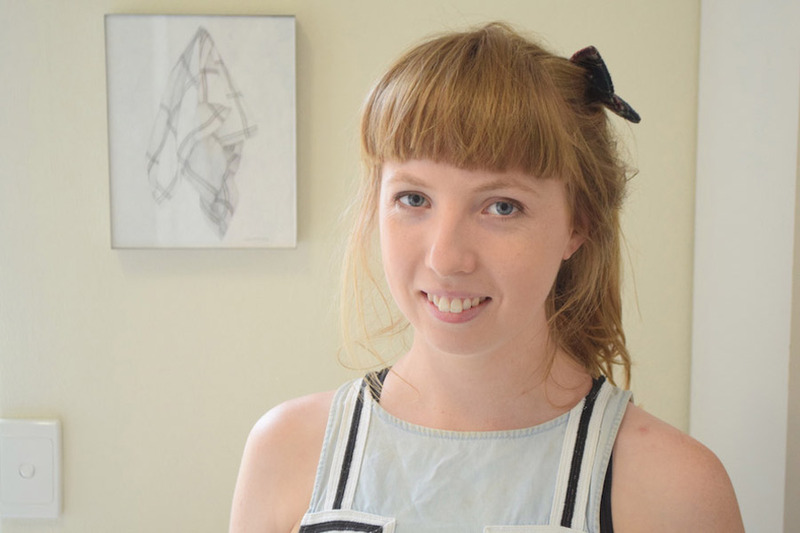 My name is Eloise and I am a ceramic artist. 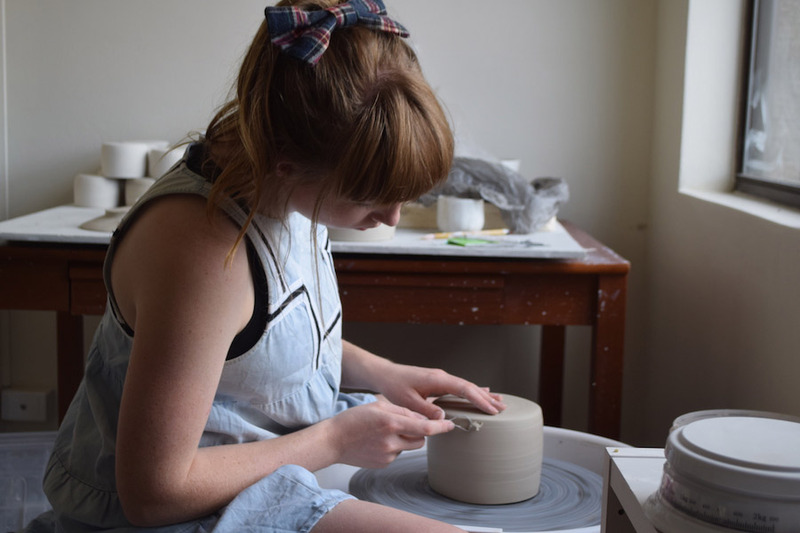 I studied fine arts, majoring in ceramics, and during this time I fell in love with using my handmade vessels. I wanted to start sharing this experience and so elph ceramics was born. 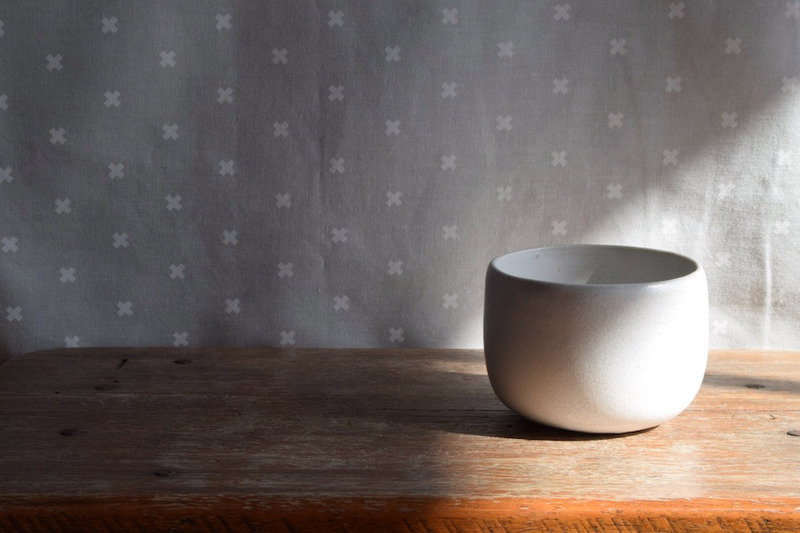 My main aim for elph ceramics is to make a collection of durable, minimalist ceramics for everyday use that have a satin glaze, making them almost soft to the touch. elph ceramics was inspired by my sister Sophie (the “ph” to my “el” in elph). My sister studied industrial design and has encouraged in me an appreciation for good design, a neutral colour palette and high quality finishes. Tell us something exciting that you have planned for elph ceramics for the next 12 months]. 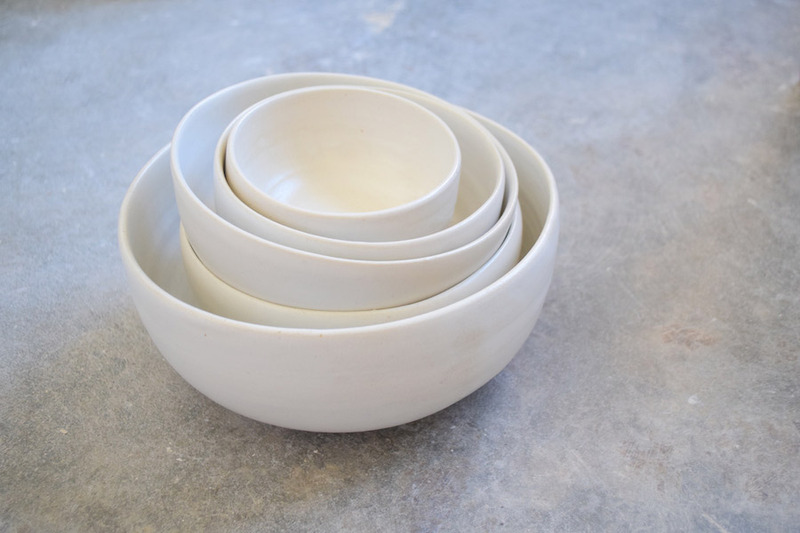 elph ceramics is very new and so everything is exciting for me! My goal for next year is to open an online store and start taking custom orders. 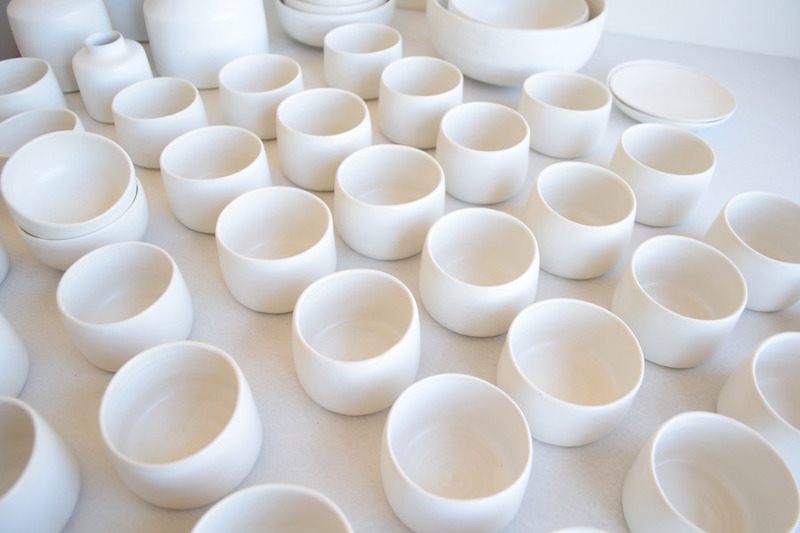 My wheel – I throw all elph ceramics on the potter’s wheel. I shape and glaze each one resulting in unique pieces each time. My favourite product is the Cuddle Cup. This is the first elph ceramics vessel I started making and having my morning coffee out of a Cuddle Cup never gets less special.